Fluffy The Vampire Slayer - Cats and Horror blog: Fluffy's First Birthday...oh and a Giveaway! I just wanted to take a moment to thank everyone for reading my blog and following the Fluffy Facebook page. Exactly one year ago I started my blog as a hobby because I'm passionate about cats and horror. It's an odd combo, but I figured there were other people like me out in the world. 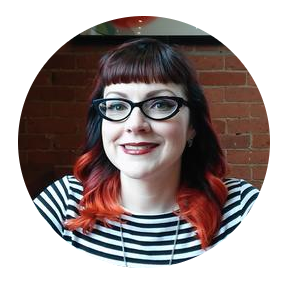 I've challenged myself to write 100 blogs in a year and I've more than surpassed that. (Some are better than others. Haha.) Some friends have asked when I'm going to have Fluffy the Vampire Slayer T shirts made, or start monetizing my blog, I can honestly say at this point I don't know. I'm already a business owner ~ I run Cats Like Us ~ and that takes up a lot of my time. So we'll see what the future brings, but until then how about a pin giveaway?! 1. My Pal Monster Wolfman enamel pin from the July Glamour Ghoul Subscription Box. It's made by Lunar Crypt. 2. 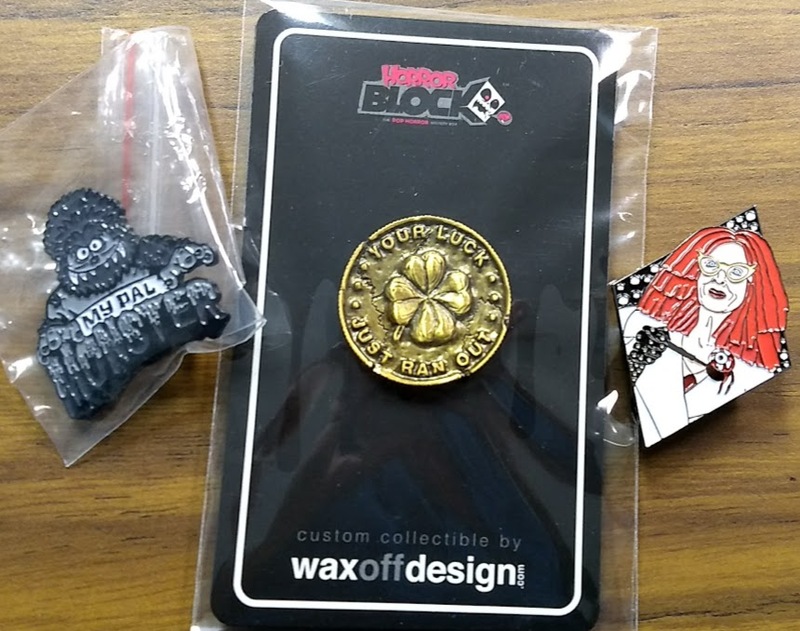 NEW EXCLUSIVE pin from the March 2017 Horror Block Box. It's from the Leprechaun horror movie and reads "Your Luck Just Ran Out". It's made of Nickel Plated Zinc by Wax Off Design. 3. Creeper Crate EXCLUSIVE pin from Demonic Pinfestation of Myrtle Snow from American Horror Story: Coven. Good luck! Winner will be picked Thurs, March 1, 2018 and will be contacted via facebook.